Calling all talent in Bonita, Chula Vista, National City, and points beyond–let us see you ROCK WHAT YOU GOT! This 1st Ever Open-Mic features whatever makes you fly–poetry, music, dance…it’s ALL good! 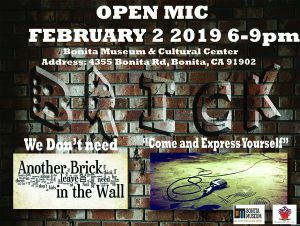 Be at the Bonita Museum and Cultural Center Saturday February 2end Doors open at 6pm, show starts at 6:30pm. Your smile gets you in the door. There will be a sign-up sheet. Make sure you get your name on so you can get your game on! 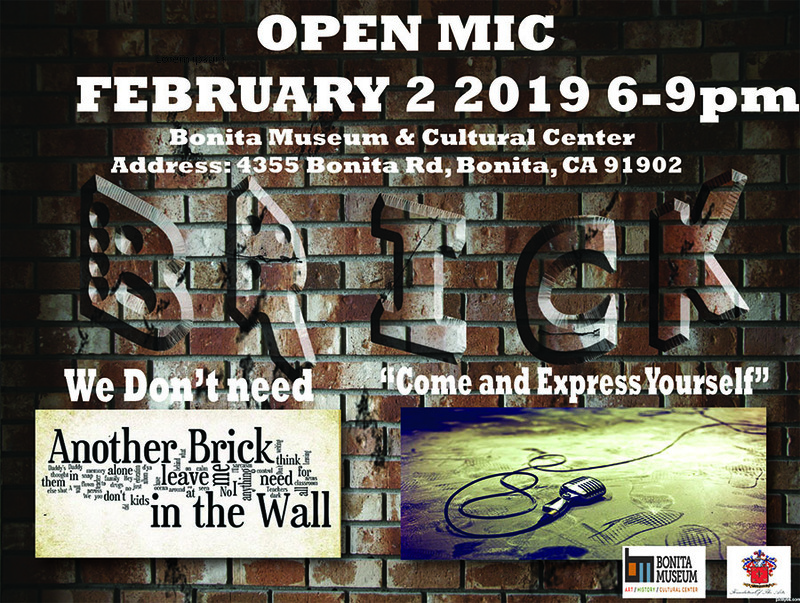 Our feature Theme is: We don’t need another brick in the wall “. So there will be some definite truth-telling and story-singing going on! Pick up your poems, grab your guitar, dust off your dance gear and GET DOWN HERE! 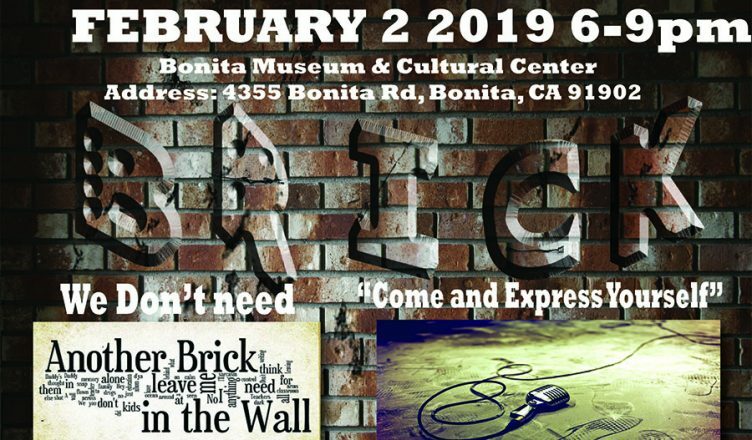 Bonita Museum and Cultural Center, Tonight Saturday February 2…and bring your “A” game! Need more info? Post your questions here.